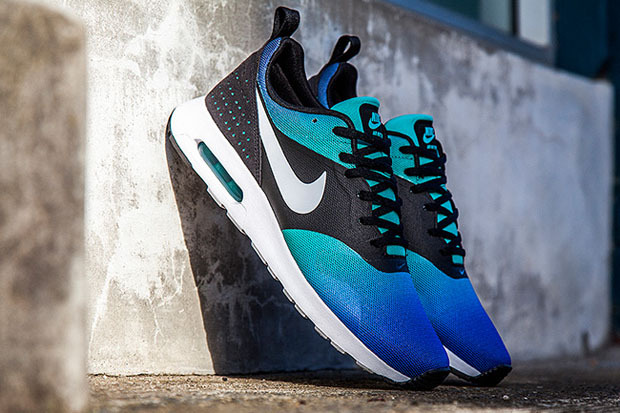 Nike Sportswear’s retro-influenced Air Max Tavas is back in a brand new Blue Gradient look. 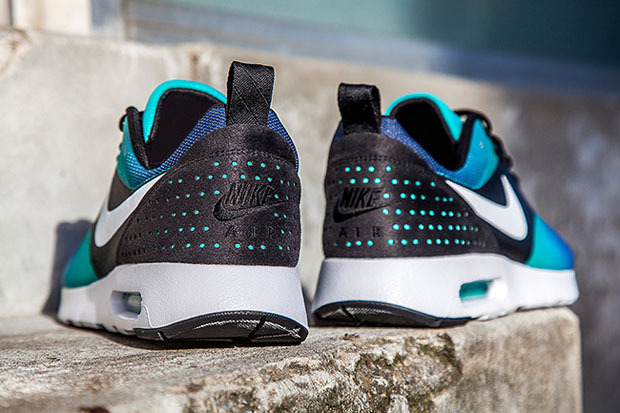 The shoe manages to parallel the women-exclusive Air Max Thea, as the visible air unit is championed on a minimal outsole. 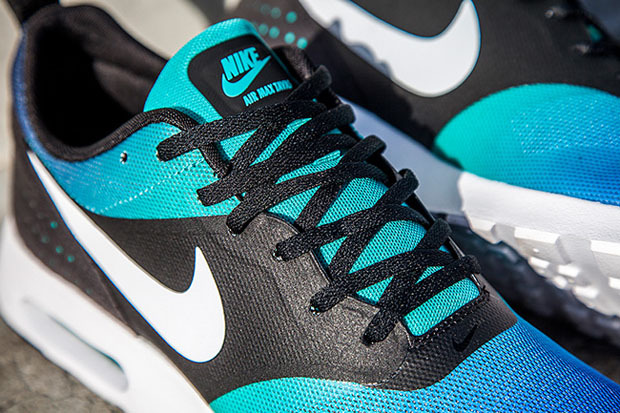 The fuse panels closely resembles those found on the Air Max 1, and here a teal eventually leads way to a royal blue by the toebox. What do you think? Check out a better view below and be on the lookout for this pair to arrive at select retailers in the near future.